Jernigan Capital (NYSEMKT: JCAP) has a very specific focus: providing capital to the self-storage real estate sector. The company’s CEO, Dean Jernigan, has more than 30 years in self-storage real estate, having founded Storage USA in 1984 and having served as CEO of self-storage REIT CubeSmart (NYSE: CUBE) from 2006 until 2013. Jernigan Capital’s IPO in 2015 took place right before a broad market downdraft impacted the entire mREIT sector. The company has rallied, however, during the past year. Despite its initial struggles, Jernigan Capital came to market at an opportune time, according to David Corak, an analyst with B. Riley FBR. “Banks had really pulled back from lending to developers since the last cycle, so there wasn’t a lot of money, but there was a great opportunity to build because we had very little new self-storage supply from 2010 to 2015,” Corak says. Jernigan Capital provides financing for self-storage development in a joint venture-like business model: The mREIT puts up 90 percent of the capital, with the developer contributing the remaining 10 percent. Jernigan Capital also has the right of first refusal to acquire the developer’s interest in each of the properties. Jernigan Capital’s market encompasses large metro areas. Good acknowledges that the risk of oversupply of storage space currently exists in the sector, including in markets such as Dallas, Phoenix, Miami, Houston and Denver. The mREIT has estimated that new deliveries will add about 3 percent of space to the existing supply in 2018 in the top 50 metro areas. Fundamentals in the sector have been robust, however, with growth of same-store net operating income (NOI) of self-storage REITs averaging 8.3 percent a year from 2012 through 2016, according to the Nareit T-Tracker. Looking forward, Jernigan Capital is also anticipating that demand will be adequate for the space, given population growth and aging. Good expects that homeowners who have put off home remodeling projects might take advantage of any benefits they get from the new tax law changes to finance such projects, which could also add to self-storage space demand. Corak also points out that the company is skilled at selecting micromarkets that are undersupplied within a larger market. Considering that Jernigan Capital is currently more of a financier providing fixed-rate capital, rising interest rates might pose a larger threat. It also has a floating-rate line of credit, exposing it to higher costs. 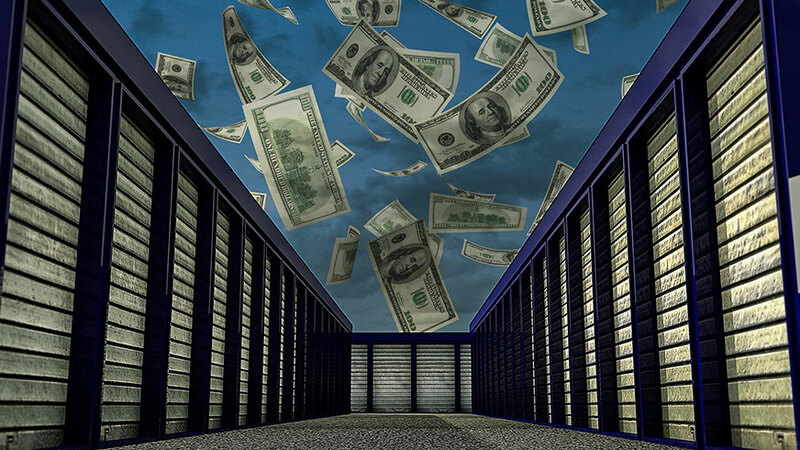 Higher self-storage cap rates are also possible, which could mean that its investments will end up being valued at less than they expected going into the projects. Good, though, expects that the enormous amount of private equity capital that is interested in the self-storage space will have the impact of keeping cap rates down. While he expects some upward interest rate movements in 2018, he doesn’t expect cap rates to move up to the same extent. For 2018, the mREIT expects to engage in upwards of $230 million of new development activity, following about $400 million in 2017. “We think that starts in 2018 and 2019 will be on the decline, and our investment volume would naturally move with the cycle,” Good says.